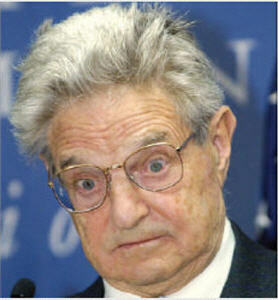 Soros Fund Management recently filed two 13G's with the SEC. First and most recently, filed a 13G on ClickSoftware (CKSW). Due to portfolio activity on September 20th, Soros has disclosed a 5.12% ownership stake in the company with 1,580,040 shares. This marks only a 14.6% increase in their position size as they owned 1,378,666 shares at the end of the second quarter. Second, the hedge fund firm also disclosed a a 5% ownership stake in Ciena (CIEN) with 5,102,085 shares due to trading activity on September 13th. At the end of the second quarter, Soros only owned 1,100 common shares of CIEN. However, they also owned senior convertible notes representing 74,934,000 shares at that time. If you haven't already heard, Soros Fund Management will be returning outside investor capital and morphing into a family office to manage George Soros & family's wealth. Per Google Finance, Ciena is "a provider of communications networking equipment, software and services that support the transport, switching, aggregation and management of voice, video and data traffic." ClickSoftware is "a provider of software products and solutions for workforce management and optimization for the service sector. The Company derives revenues from the licensing of its software products and the provision of consulting and support services. ClickSoftware’s solutions are grouped into four main suites which together comprise its Service Optimization Suite: Field Service Daily Suite, Mobility Suite, Roster (Shift Planning) Suite and Forecasting and Planning Suite." For more recent hedge fund activity, we posted up how Philippe Laffont's Coatue Management just bought Universal Display (PANL).